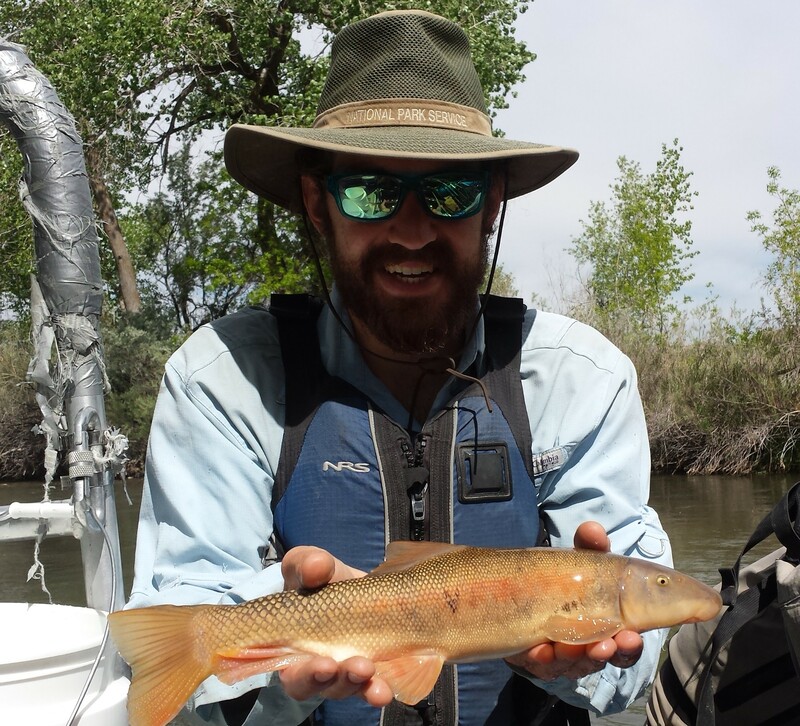 Jereme W Gaeta (PI) joined the faculty in Utah State University’s Department of Watershed Sciences and the Ecology Center as a new fish ecology professor this past fall. Jereme earned his PhD in 2012 at the University of Wisconsin – Madison where he stayed for a Post-doctoral research associate position through the summer of 2014. His research interests lie at the nexus of fishes, humans, and climate with particular emphases on predator – prey interactions, angler behavior, invasive species management, and understanding how drought influences lake ecosystems and the services they provide. Here in Utah, his research efforts will initially focus on identifying the effects and potential mitigation of the northern pike invasion in Utah Lake, UT as well as determining how drought conditions affect several species of concern in Bear Lake, ID/UT. Ryan Dillingham (ryan.d.dillingham@gmail.com) joined the Department of Watershed Sciences as an undergraduate in 2012 working as a technician removing invasive crayfish from Red Butte Reservoir in Salt Lake City to enhance habitat for the endangered June Sucker. He has since worked for the lab in a variety of ways. He received his Bachelor of Science in Biology with an emphasis in Ecology and Environmental and Organismal Biology in 2014 from the University of Utah. Ryan joined the lab in Fall 2016 as a Masters student on a project taking a decade-long perspective to understand whether drought and invasive species influences ecosystem health and, if so, what are the pathways and solutions. Ryan’s research interests lie in Ecology as a holistic study, with a heightened passion to understand the interactions of wildlife with each other and the interactions of these organisms with their environment. Ryan’s experience ranges from sensitive snake species, habitat restoration and ecosystem ecology, to moose and mountain lion research and endangered fish species. Hayley Glassic (hcg0509@gmail.com) joined the Lake Ecology Laboratory in May 2015 as a graduate research assistant pursuing her Masters degree. She graduated from the University of Georgia in December 2014 with a Bachelor of Science degree in fisheries and aquaculture. Hayley has particular interest in using mathematical models to answer questions about interactions between salmonids and their habitat as well as how management practices affect salmonid populations. 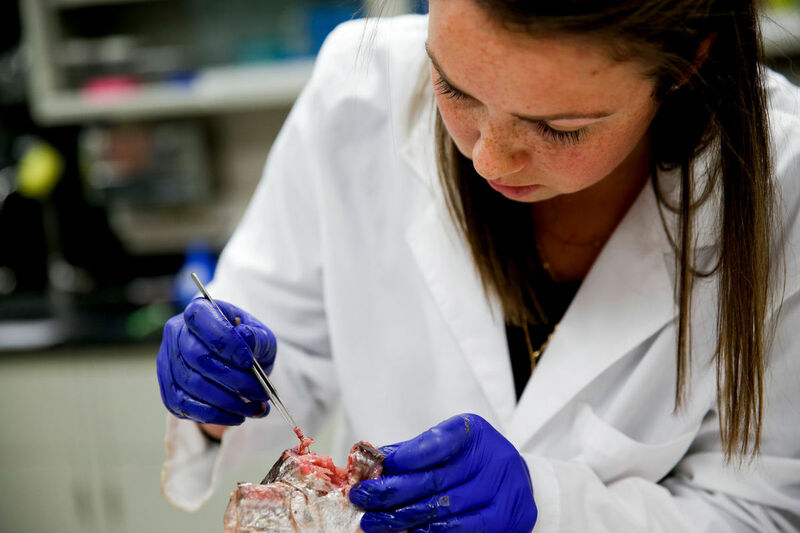 Her thesis will be focusing on the fishes of Bear Lake, UT-ID, specifically, how drought conditions affect population dynamics of Bear Lake Bonneville cutthroat trout and the Bear Lake sculpin. 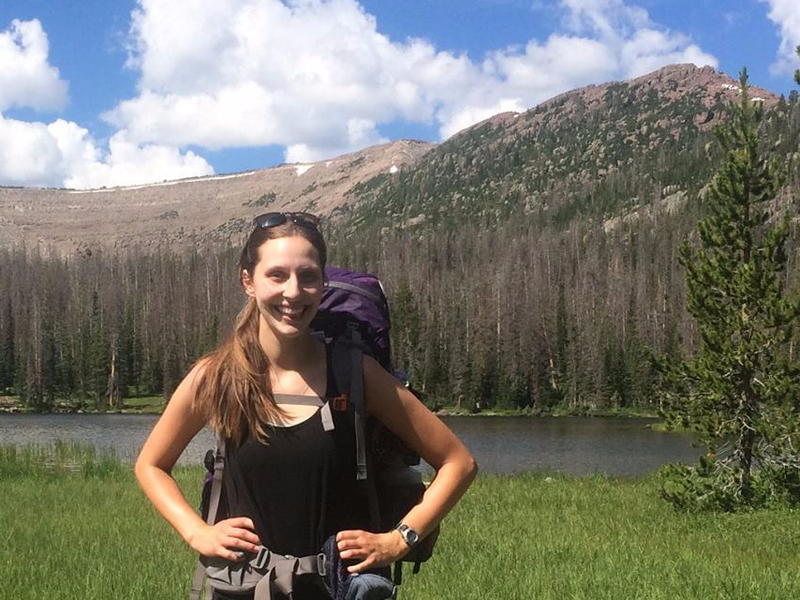 Jenna Keeton (jenna.keeton@aggiemail.usu.edu) joined the Lake Ecology Lab in June 2017 as a graduate research assistant pursuing a PhD. She graduated from the University of Washington School of Aquatic and Fishery Sciences in 2014 and worked in fisheries ecology with NOAA andUW for three years post-graduation. A Seattle-native, her background is in salmonid ecology. She is currently evaluating a novel mitigation strategy to mitigate illegally stocked walleye populations across the Intermountain West. Kevin Landom earned his Master of Science degree at Utah State University and is the Program Coordinator of the Utah Lake Monitoring project and Gaeta Lake Ecology Laboratory manager. Kevin is interested in understanding the effects of the invasive common carp removal on the aquatic ecology of Utah Lake, UT with an emphasis on zooplankton community dynamics and carp population dynamics. Hannah Moore earned her Master of International Studies of Aquatic Tropical Ecology at the University of Bremen, Germany in 2015. She studied fish colonization, abundance, and foraging behavior on artificial reefs in Cambodia. 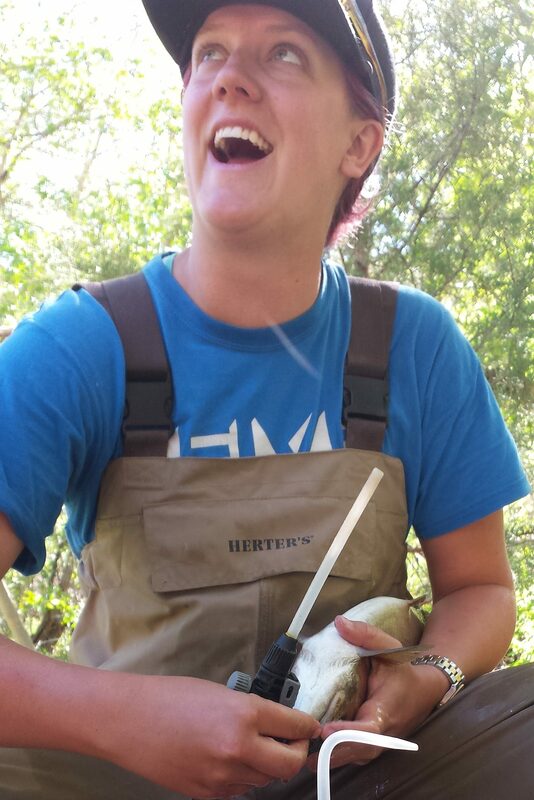 Hannah joined the Lake Ecology Laboratory during the spring of 2015 and is studying the effects of flow regime on the fish community in Sixth Water and Diamond Fork in the Spanish Fork Drainage, a tributary of Utah Lake. Chuck Carpenter is an avid angler and recent winner of the Utah Chapter of the American Fisheries Society 2016 annual meeting best poster award for a talk titled “Deciphering the Northern Pike Puzzle: Comparing growth of an invasive population in Utah Lake, UT to a native populations in Green Bay, WI”. Chuck has been working in the Lake Ecology Laboratory since the fall of 2015 and is specializing in aging fishes using otoliths, cleithra, and spines. Kemyla Sacre joined the Department of Watershed Sciences as a technician in the summer of 2014 identifying zooplankton, aquatic insect, and aquatic vegetation samples. Her education interests lie in the relationship between dietary choices and human health. She believes that improper diets lie at the base of the many health complications human face today. Kemyla is a senior at USU working on her undergraduate biology degree planning on going to medical school. She aspires to be a surgeon and to fulfill her dream of healing people across the globe. Working in this department has shed a new light on how important the study of ecology is to society and, therefore strengthening her appreciation for the many branches of science.